Meet the Right Man Online? you’ve made in your online dating profile. I get it. It’s so aggravating when you know other women meet lots of men through online dating sites or apps but, you struggle to get the kind of attention you want. Perhaps you get coffee dates; but they don’t lead to second or third dates, because who the men expected, based on your profile isn’t who showed up. 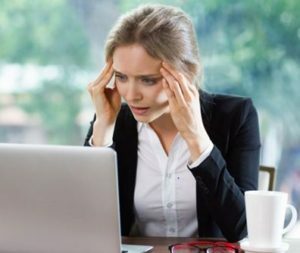 You’re frustrated because you have no idea why it’s not working, what you might be doing wrong or how to fix it. You wish you could ask someone who really KNOWS what to do to help you write a great profile. Neither one of these scenarios is fun. After a while, you feel even more despair and wonder what’s wrong with you. You want to find love; but there seems to be some sort of invisible block that is keeping you from meeting great guys. You wish you could ask someone who really KNOWS the secrets for how online dating works to help you find true love. Now there is an answer and a really good one too. You can work with me, an experienced dating coach to do your Digital Dating Makeover, for online dating profile tips, profile writing, wardrobe consultation and photo review! When I was single and dating, I got fed up with the men I was meeting. So, I put my writing skills to work to write my own personal ad. Suddenly I started meeting lots of quality men and I realized I was onto something big! Since then, I’ve spent years researching and talking to experts about how to find “The One” online. 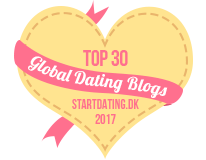 I’ve compiled online dating profile tips and strategies and my own knowledge of dating and writing into this incredible service for single women to help you find lasting love. I’ve been providing online dating profile tips and writing profiles for 15 years! Plus, my career began as a marketer and writer, so writing your profile is an extension of what I did for years. It’s about knowing the right things to say, what not to say — and how and when to say them. 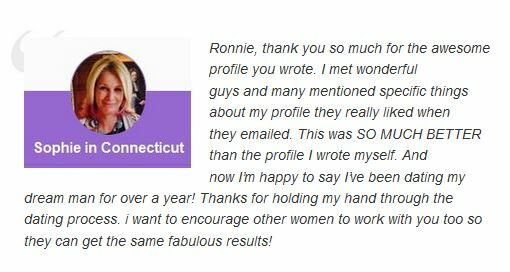 You’ll get the benefit of all my years as a marketing and creative professional, combined with years of experience as a dating coach (since 2002) to craft your profile so it stands out and attracts the positive attention you want. Most of my clients thought you can write anything, put up a couple of photos and be on your merry way to dating success and finding love. Sadly, this is just not true. You don’t even KNOW the mistakes you made in making your dating profile. With my online dating profile tips and writing, your profile will be expertly crafted to sound like you, but NOT like every other woman on the web. Your genuine personality will shine through as I include what men will naturally want to know about you. With my help, you won’t turn men off before you even get a chance to email, talk or meet. These errors in dating are probably not what you think and most women fall into these traps unwittingly. Why Struggle or Put Off Writing Your Profile When You Have Easy Access to Help? Personally, I don’t enjoy struggling. If there’s a shortcut, I want to know it and use it. What about you? If you are tired of being single, not getting the results online that you want or still waiting to get started, why not give yourself a jump start to finding the love you want? Are You Ready to Meet a Quality Man Online or via the Apps? Great! Then register now and let’s get you started! 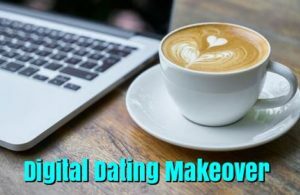 Yes, I Want the Digital Dating Makeover for Just $497!